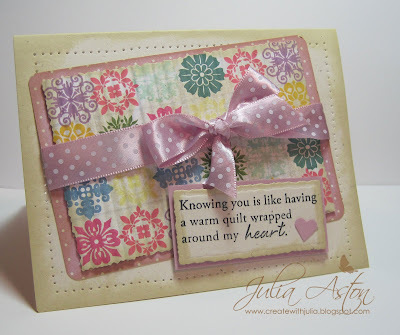 I'm so excited to be participating in the Papertrey Blog Hop this month! A first for me! We had to create a card or project inspired by the lazy days of summer and show a picture of where our inspiration came from. 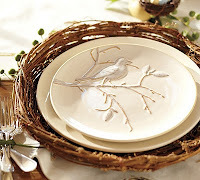 Well - this picture from the Pottery Barn July 2009 catalogue really caught my eye. 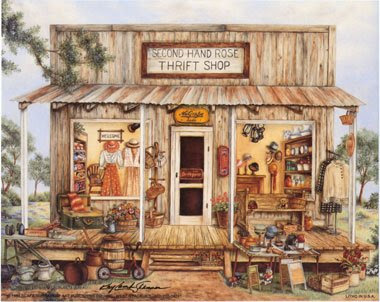 It reminded me of my childhood summers when my parents would let my sister and me sleep on our screened in porch where it was cooler at night. Of course we had camp cots and sleeping bags... but it was the same cozy feeling as these wonderful quilts. 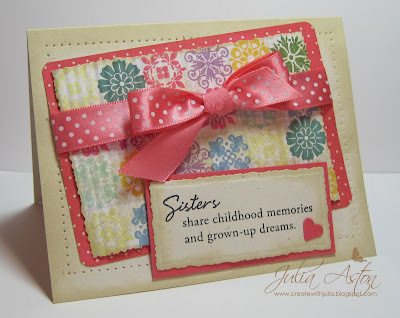 And here are four 'quilt' cards that I created from this inspiration. I wanted to share with you a little bit of how I put these together. First I made a full sheet of 'quilt' using the Guide Lines paper and Guide Lines Two stamp set and many different colors of Papertrey Ink.! I stamped each design 14 times in the same color randomly around the blocks until the page was filled. Then I cut them up into rectangles so they were like little quilts. I got 4 out of the sheet so I made 4 cards! 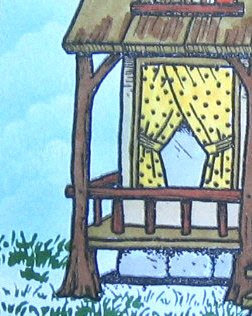 I wanted them to be a little antique looking so I used the Camomile tea dye ink on the edges and then daubed it all over each "quilt". Here you can hopefully see them plain, edged, and daubed all over. I also cut around the edges with deckled edge scissors. Here is a close up of each card. I ran each 'quilt' through my crimper and I used a corner rounder punch on the Bitty Dots designer paper behind each quilt. 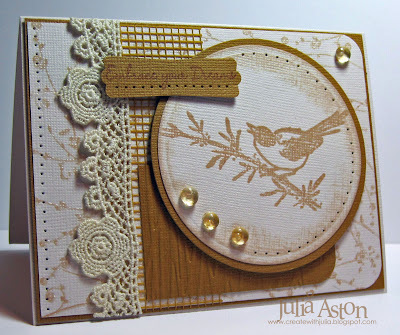 I pierced around the edges of the Rustic Cream card stock. 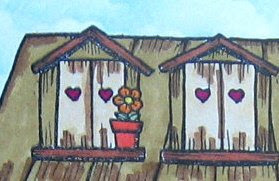 I went over the grid lines with a light gray Copic to give each square a little definition. 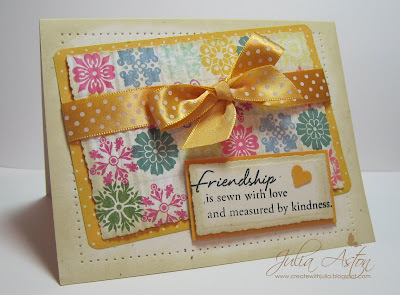 The sentiments are from Quilter's Sampler and Quilter's Sampler Sentiments. These are all very Mish Wooderson-esque dont you think??? Thanks for stopping by today! 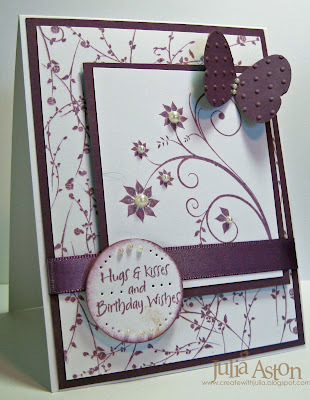 Paper: PTI: Lavender Moon, Rustic Cream, Guide Lines, DP Bitty Dots Basics. 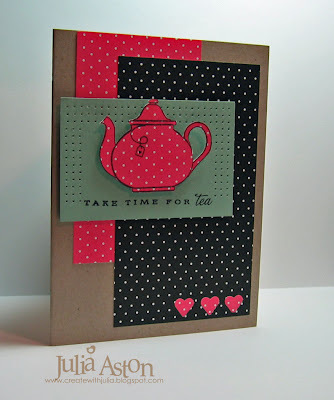 Olive You - Artful INKable Sneak Peek #4 and a Challenge! I'm so excited to show you this beautiful stamp from the Olive You stamp set from Artful INKables that will be released along with 3 other fun new sets tomorrow! 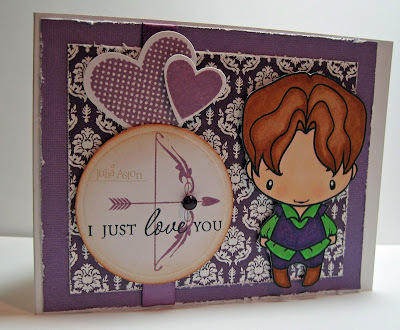 The Olive You comes with 4 images and 4 sentiments. Today I'm highlighting this lovely bottle of 100% Virgin Olive Oil (as the medallion on it's neck says) nestled in an olive branch along with the Bon Appetite sentiment! 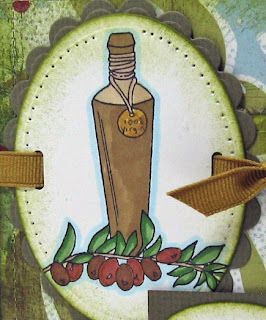 This stamp would be so fun on the cover of a recipe book or a recipe card that uses olives or olive oil! 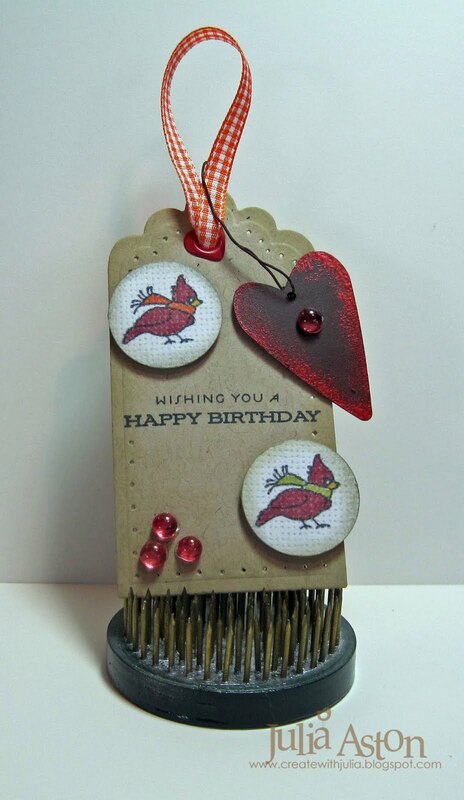 All of Kristin's stamps are deeply etched red rubber and stamp beautifully! They are already cut and mounted on cling foam and come in a clear CD package - ready for you to pop them on you acrylic block and start using! 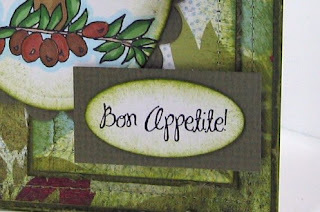 I started by cutting two panels of the pretty Basic Grey designer paper and layering them onto green textured paper by Bazzill. Then I stitched around the edges with my sewing maching. I sponged all the edges with Old Olive ink (how appropriate!) and distressed them and attached the panels to my white card. 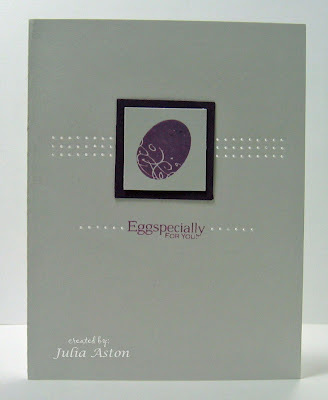 I stamped the image on white card stock and cut it out using my oval nestabilities and Cuttlebug. Then I had fun coloring it in with my Prismacolor markers. I paper pierced the top 3/4's of the oval. I punched on either side with my slit punch and wove the ribbon behind the image and around the panel. 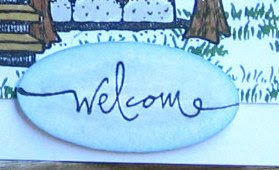 Then I stamped the sentiment on a white scrap, punched it with my oval punch and mounted it on a rectangle of Bazzill Green. I attached it to the card with foam dimensionals. I really like how this came out with the colors and designer paper - it makes me think of a cafe in Greece where they might have this bottle on the table during meals! Now the fun part! 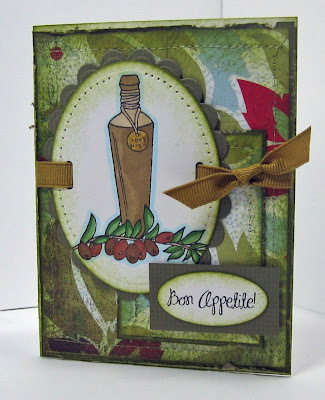 Our challenge for you today is to join the Design Team and make a card using some sort of a beverage stamp - it can be anything - coffee, tea, an alcoholic drink - post your card in your Split Coast gallery and use the keyword ARTINK so we can all see the cards for this challenge. 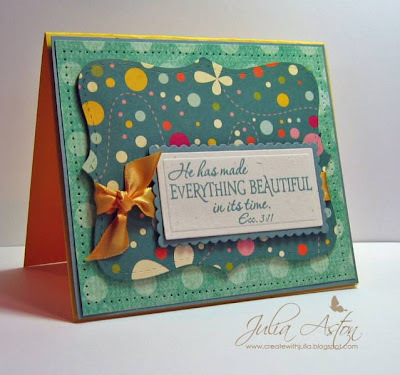 If you don't post on SCS - link your card on the Artful INKables Blog here. We can't wait to see your creation! 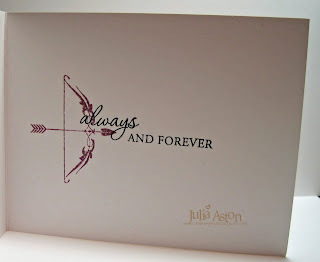 So thanks for checking out my final sneak peek! 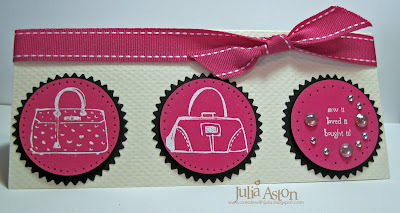 Now I hope you'll click below to check the other Ink Girl's blogs below to see what stamps from this set they used today! And remember these four wonderful Sneak Peek stamp sets all of us Ink Girls have been showing since Sunday will be available to purchase tomorrow at Artful INKables so be sure to check them out! Today's Inspiration Challenge on Split Coast was a fun sampling of Cupcake wedding cakes - I chose the blue one here as inspiration. 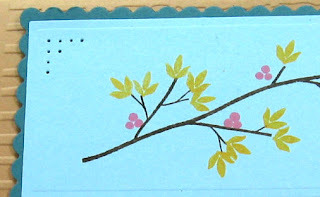 I immediately thought of PapertreyInk's Out on a Limb set and used that for my branch - I used Adirondack ink for the branch and Color Box Chalk inks for the flowers and buds as they are nice and juicy inks and stamp brightly. I cut the panels with petite rectangles Nestabilities and both panels are mounted on foam dimensionals. 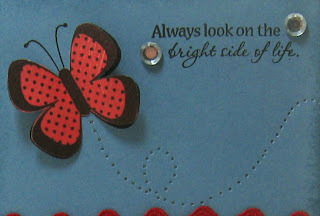 I used my cuttlebug to emboss the background with Distressed Stripes and finished up with the ribbon and pierced corners! Now I'm off to do some errands, water the gardens and maybe sit in the sun a minute! 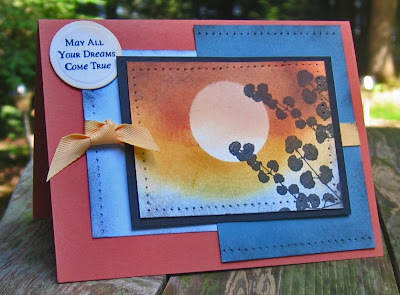 I made this card for the sketch challenge at Split Coast using a tutorial from Michele Zindorf for my main panel - Michelle is a wonderful card artist who always sponges and brayers color onto her beautiful scenes - and she does a tutorial every day on her blog so that you too can make a card like hers! ...... and my card is proof of that! Here is the sketch we had to use for the challenge. 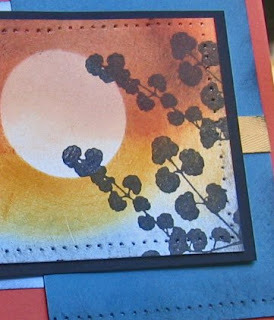 I sponged all the colors rather than using the brayer as I cannot seem to get even coloring when I use the brayer - I think sponging gives pretty much the same effect. I pierced and sponged the edges. 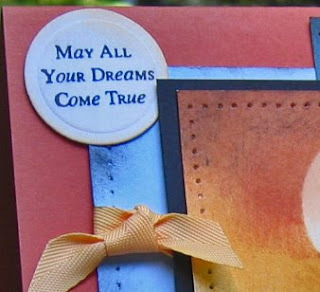 I tucked the sentiment circle under the top left corner rather than popping it up as I usually do - it seemed to look better that way on this card. 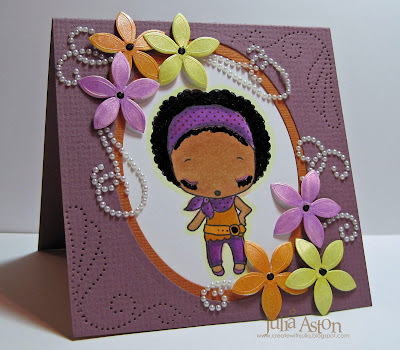 The flowers are from a new stamp set called Pressed Petals just released by Artful INKables as part of the new July release. 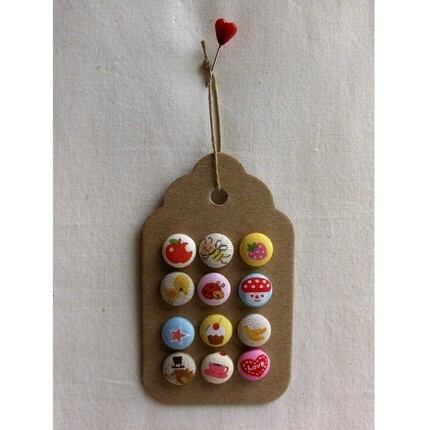 Kristin is offering 10% off during July so be sure to go over there and check it out! Might as well get it for less now right??!! 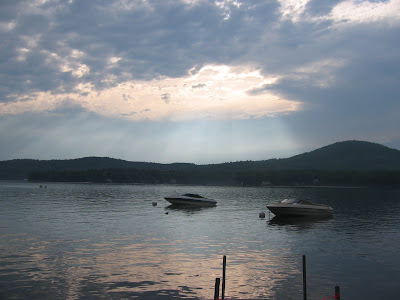 I'll leave you with this lovely picture of the sun setting over Merry Meeting Lake in New Durham, NH where I am presently on vacation at our cozy cottage in the woods across the road from this beautiful lake. 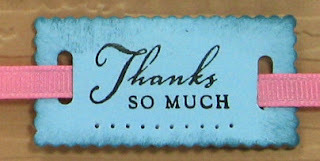 Thank so much for dropping by today - I REALLY appreciate you taking the time to check out my cards!